A lightning power cable and brick (using the HDMI adapter drains the battery fast). Optionally, a Logitech Spotlight remote. Both Microsoft PowerPoint and Apple Keynote work like their computer cousins, and support all animations. I loaded my presentation on my iPhone, connected it to the screen using the HDMI adapter, and voilà! Probably the fastest and easiest way to project something. Even cooler, the iPhone supports the Logitech Spotlight presentation remote via Bluetooth, so I could use it to go advance the slides. The only downside is that an iPhone screen is very small for my old eyes, and I had to turn my back to the audience from time to time to see where I was in the presentation. But it worked flawlessly. 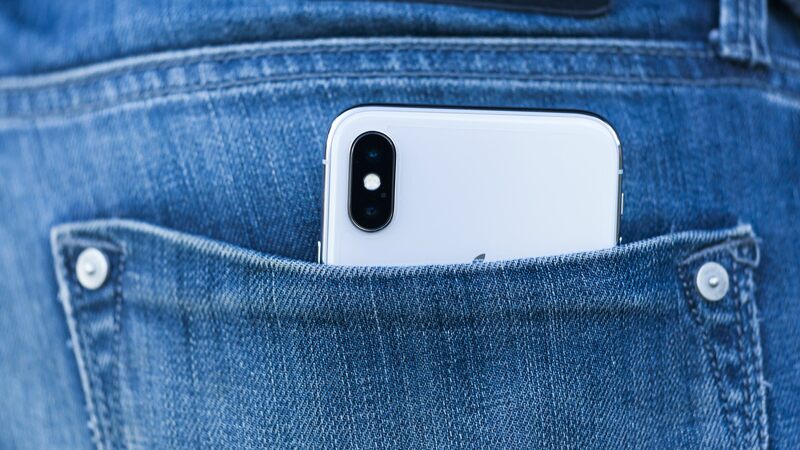 If you have a critical presentation to deliver, using your iPhone as a backup is an excellent way to fight Murphy’s Law, and have a safety net in case something goes wrong with your computer. Ideas on Stage is the global specialist in business presentations. We offer our services in North America and Europe, in English, French, Spanish and Italian.